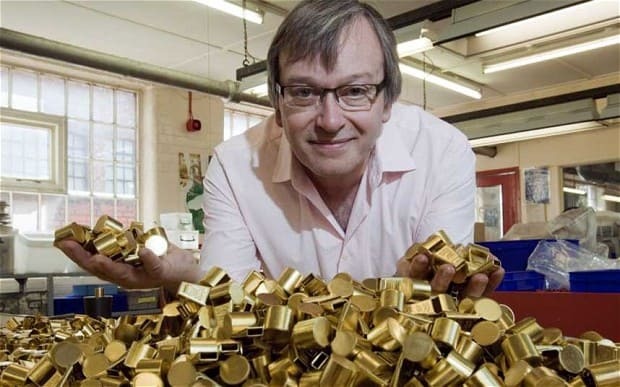 After the short business part of the AGM our guest speaker will be Simon Topman MBE, Chief Executive of J. Hudson (Acme Specialist Whistles) Ltd. Well known in Birmingham. Simon is ‘an extraordinarily entertaining speaker. The world’s greatest living authority on whistles’ his talk is entitled ‘Birmingham Made Me’ he definitely will be well worth hearing. A light buffet lunch will be available shortly after the event. Simon is C.E.O. of the world famous Acme Whistle Company, founded in 1870 and manufacturer of 500 million whistles, sound effects, bird calls, animal sounds and harkers, to date. Accordingly there will be a host of stories, amusing and serious, from the world of whistles including the Lion Roarer for jungle warfare, the football referee’s Thunderer, and furthermore how his factory made both the original whistles for the Titanic and also indeed for the blockbuster movie. Most of all there will be a great deal of humour and a great sense of storytelling. Illustrating business and social changes that have and are taking place up to the present time.